After weeks of stoic silence I can now reveal some secrets about the big wedding. 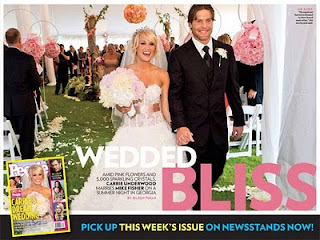 Yes, Mike Fisher and Carrie Underwood were married on Saturday, July 10th but not in Ottawa, Nashville, Peterborough or Oklahoma. Want more of a scoop? Check out People magazine this Friday. 'Nuff said.